We started the day huffing up the steep winding slope. After breakfast, we headed towards Temple Complex. 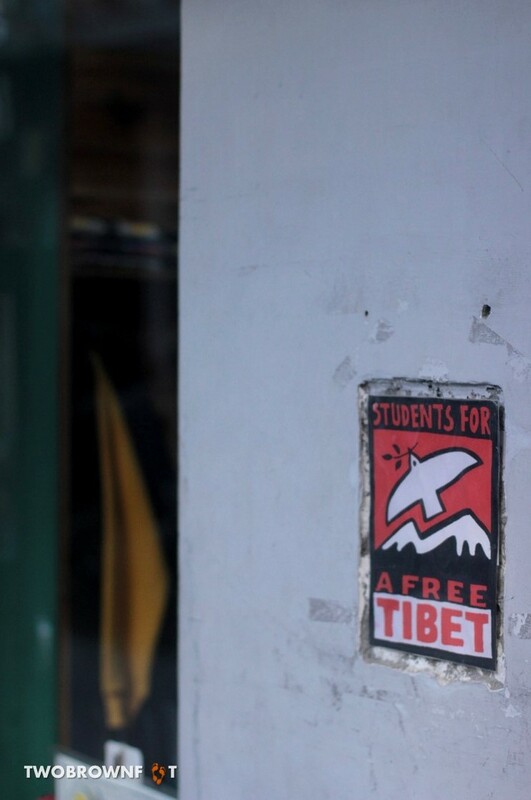 Plastered on the wall opposite, were posters of the Tibetan uprising and the resistance movement. It’s not the best way to start the morning. 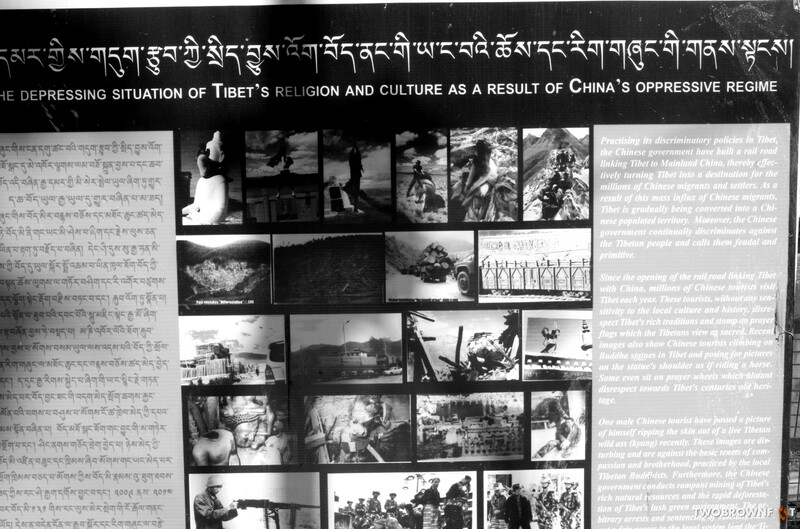 Disturbing images of tortured or missing Tibetans dominated the posters. 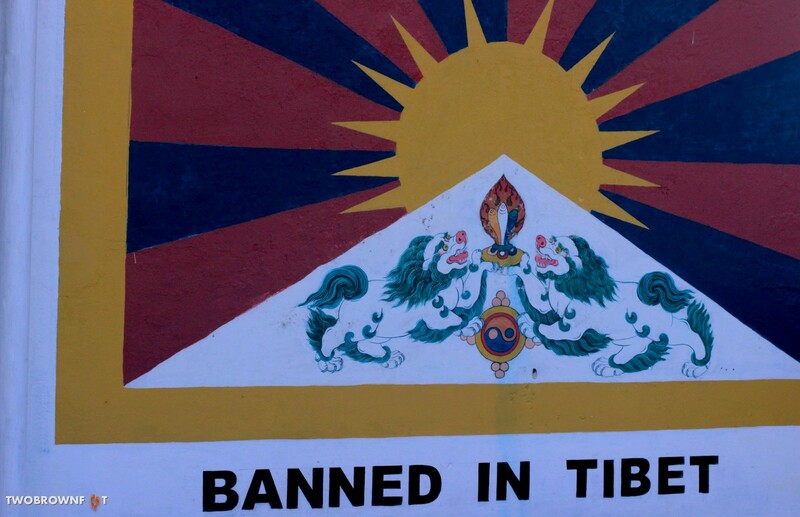 Understandably, no effort was spared in hiding the gory facts of the invasion of Tibet by China. The atrocities were real and horrific. The cultural dilution – a bigger threat. A man chose to pose with these graphic images. I’m not sure why would someone want to click a snap with these horrifying images. I just hoped, for his sake, he wasn’t able to read them. Anyway, we’ve seen weirder things. 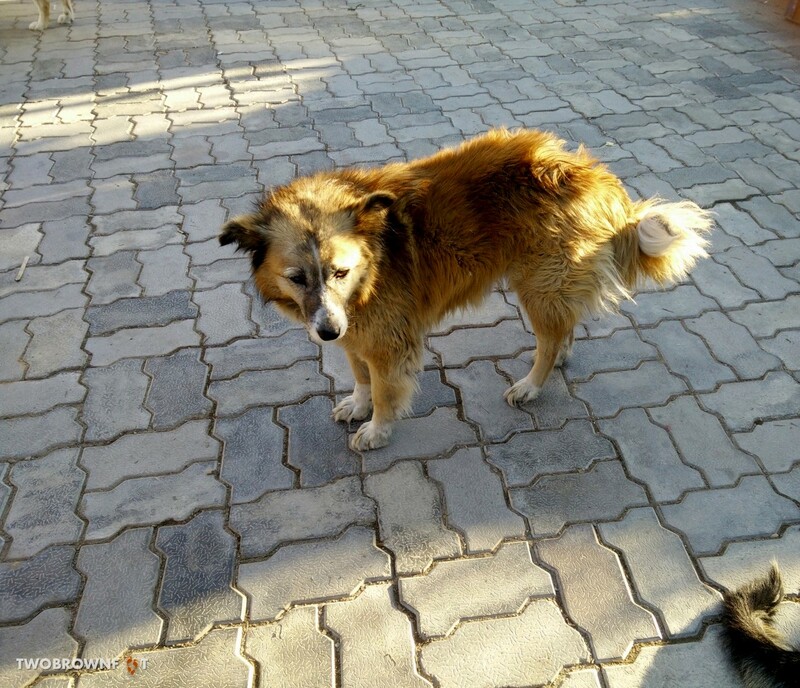 Fortunately for us, few mountain dogs diverted our minds, as they sunbathed in the morning sun. 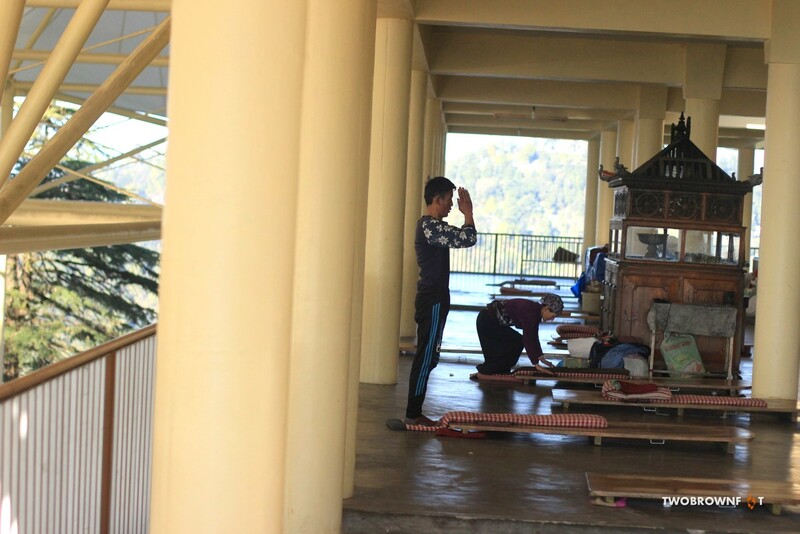 Here’s what I love about Buddhist Temples. Most of them are in the middle of nowhere offering some of the the best views of the mountain. 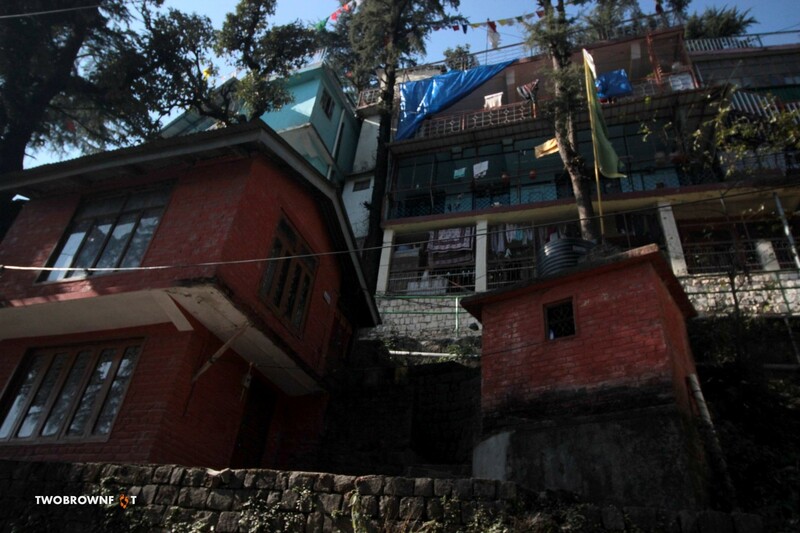 We found it strange that the Temple Complex would be situated in such close proximity of a mountain town. 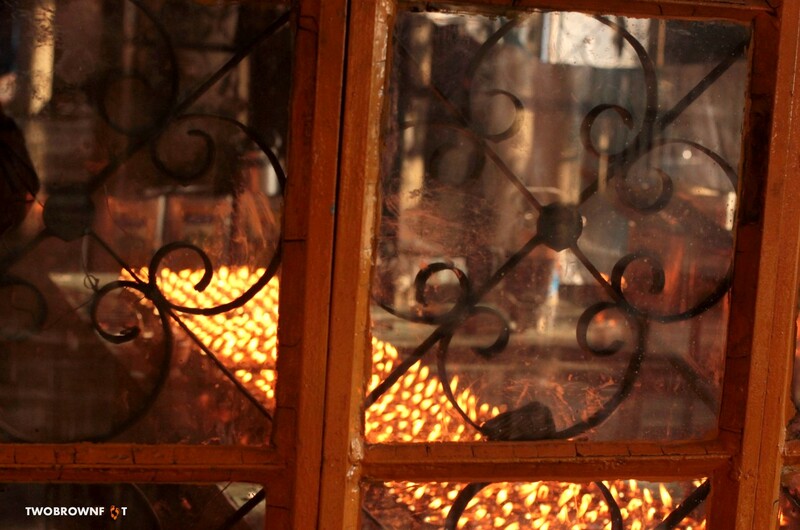 Cafes, a taxi stand, and the main market were all a walk away. I wondered if it was the effect of tourism. Unintentionally, we too might have added to the chaos of an erstwhile sleepy mountain town. 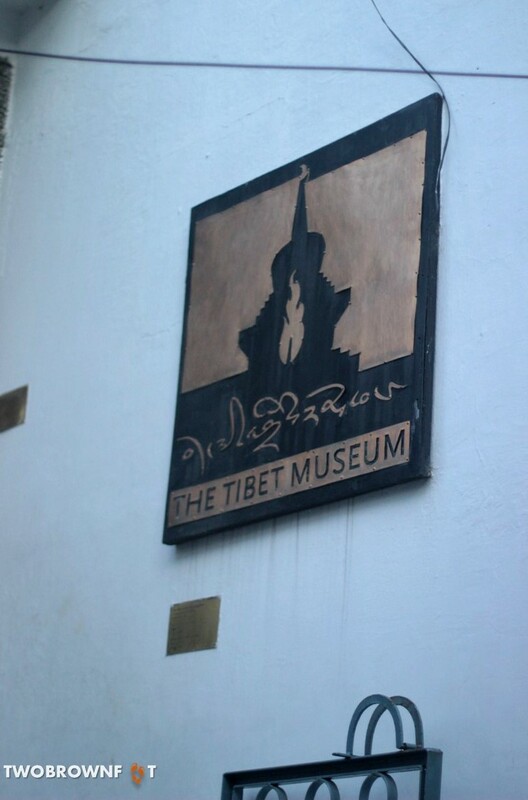 As we entered the gates, to the left was the Tibet Museum. We were too early and it was shut. We made our way to the security check point and into the main foyer. 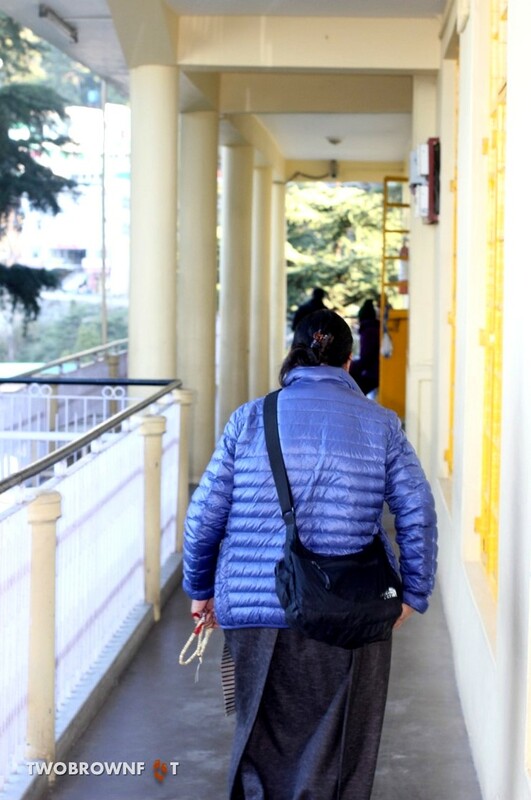 Devotees chanted mantras with beads in their hands and walked around the main temple. Signboards (ignored by most tourists) urged visitors to walk clockwise. 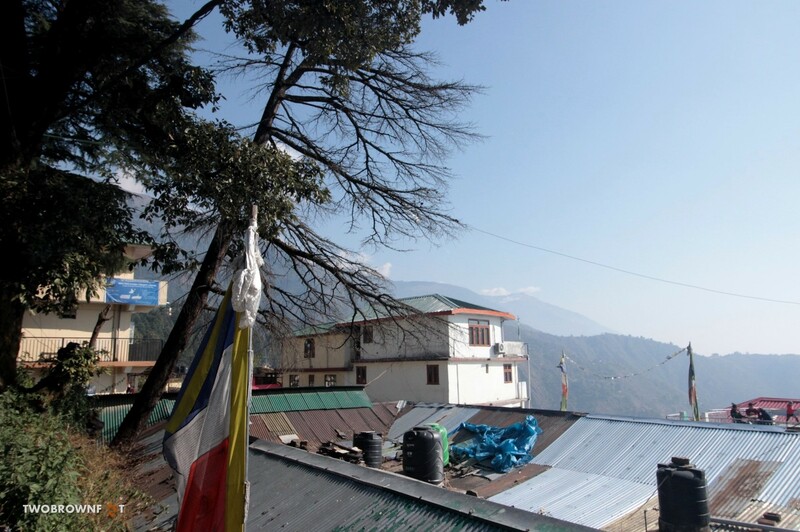 As we walked along the verandah, we were pleasantly surprised by the stunning views of the mountains around. It was much cooler here. The location of the temple made sense. 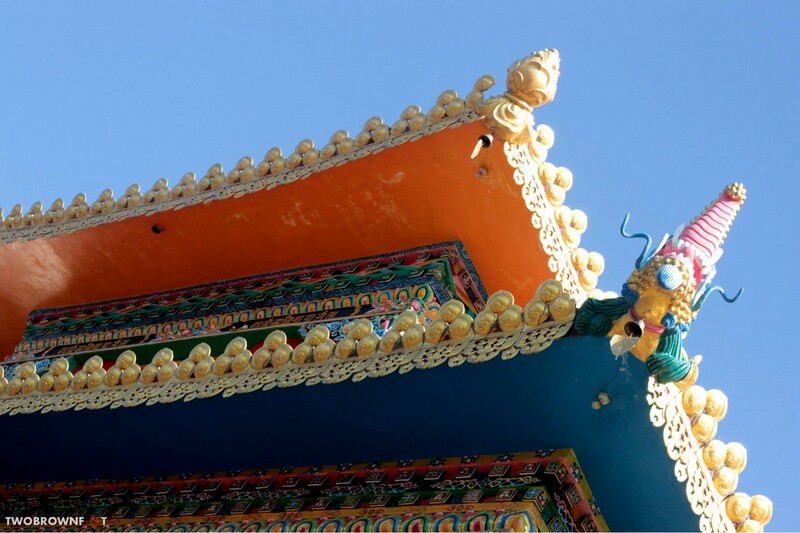 The Kalachakra temple has a splendid collection of wall murals, golden statues, and a designated area for meditation. I’ve always cherished the silence of Buddhist temples. There’s something about the imagery, cool environs,and being surrounded by nature. I closed my eyes and tried to keep my mind blank. And I thought, it’s Christmas Eve and we’re in a Buddhist Temple. I wondered what our folks (back home) would think and smiled. Another attempt at meditation was foiled by a noisy tourists duo. I gave up. I offered a token donation and exited the temple. Basil lingered on to study the murals more carefully. I’m not sure how the devotees felt about noisy tourists. But, they didn’t let their irritation – if any – show. 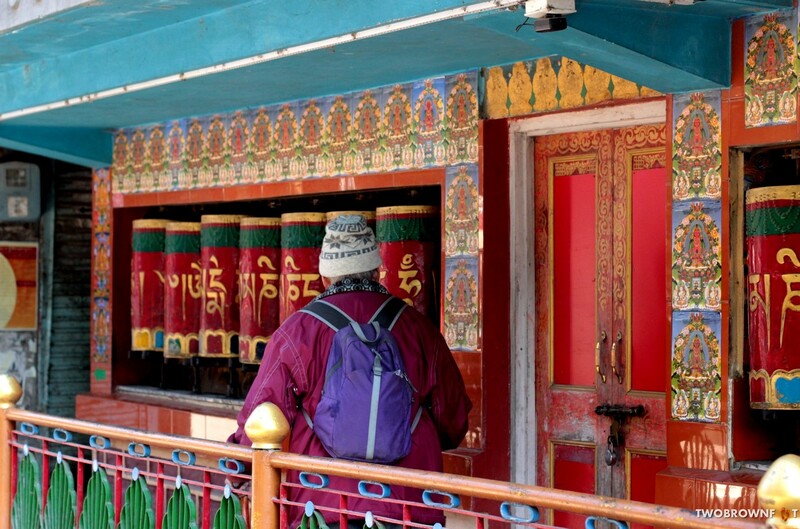 On the outer rim of the temple, prayer wheels were turned around. We’ve done this ritual before in Sikkim (Indian state sandwiched between Nepal and Bhutan). There’s a strange child-like joy in rotating these wheels. Any spiritual benefits are an added bonus. 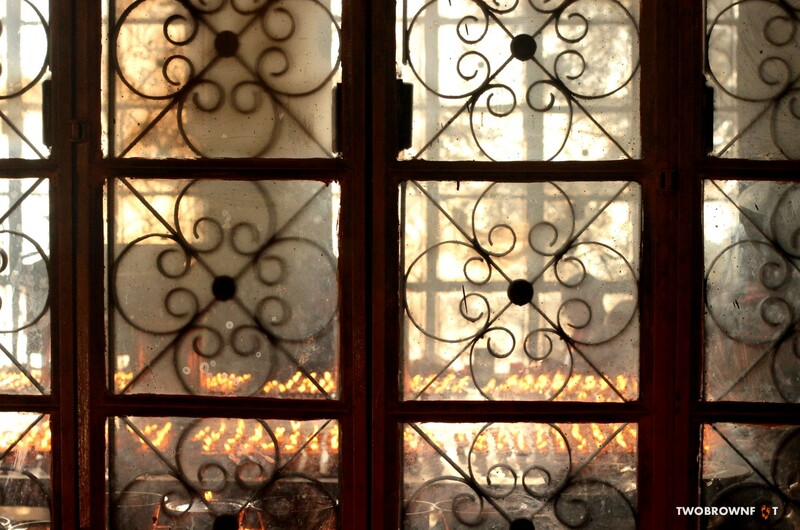 A small area was brightly lit with prayer lamps. I chose a spot in the sun and tried a third attempt at meditating. I gave up sooner than expected with a family of four announcing their arrival. As we exited the temple complex, and proceeded into the main market and eventually main square, the decibels of sound gradually increased. We had to make a choice of hiring a cab (to see touristy points), hop on a local bus, or explore the vicinity ourselves. Given my experience with closed cars and the mountain roads, I chose my feet. The walk from the main square to St. John’s Church was 1 km, and Dal Lake about 4 km. 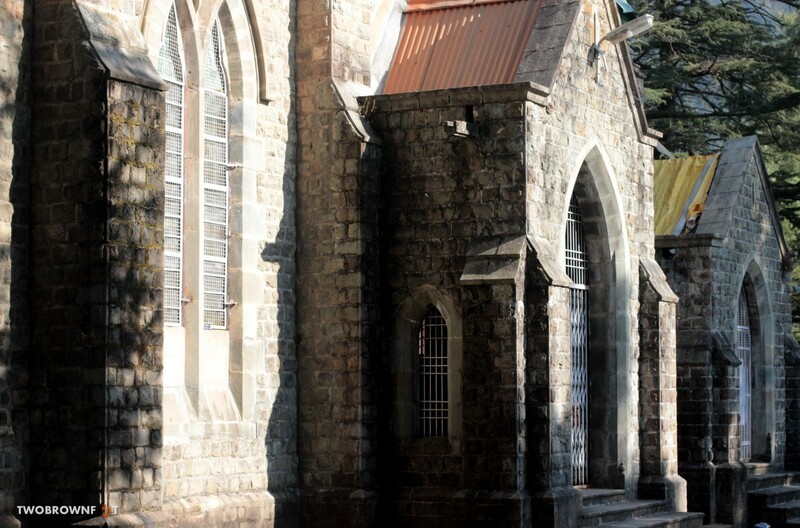 The walk to St. John’s Church was truly scenic. 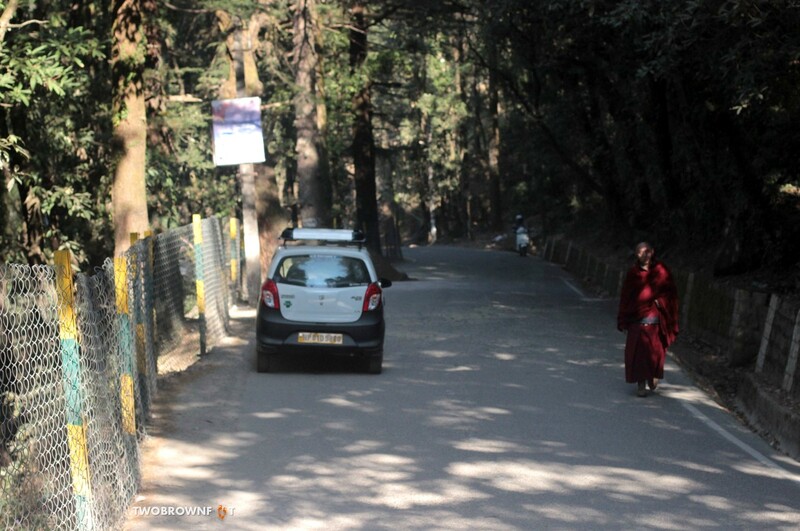 Although, we had to dodge speeding vehicles on the curving mountain roads. 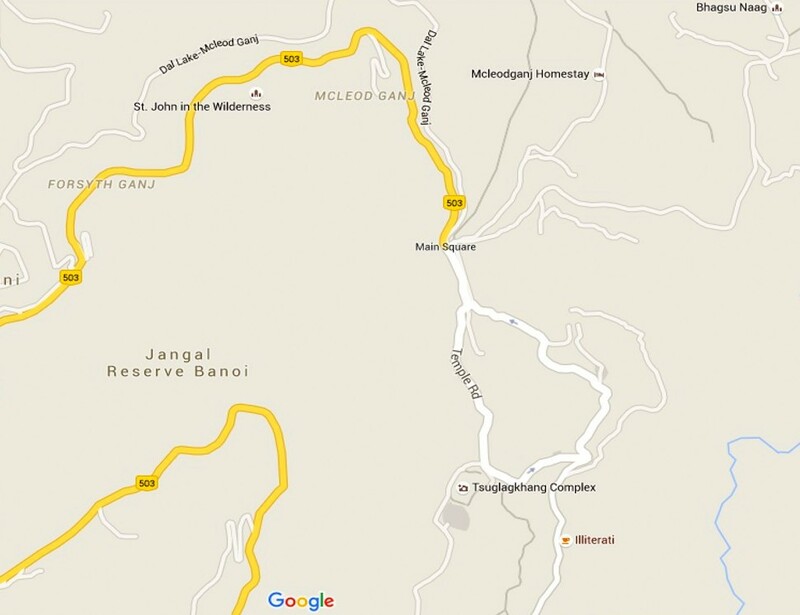 The roads are in pretty decent shape, it’s the bends that one has to take care off. A small slip and we’d be rolling down the valley. 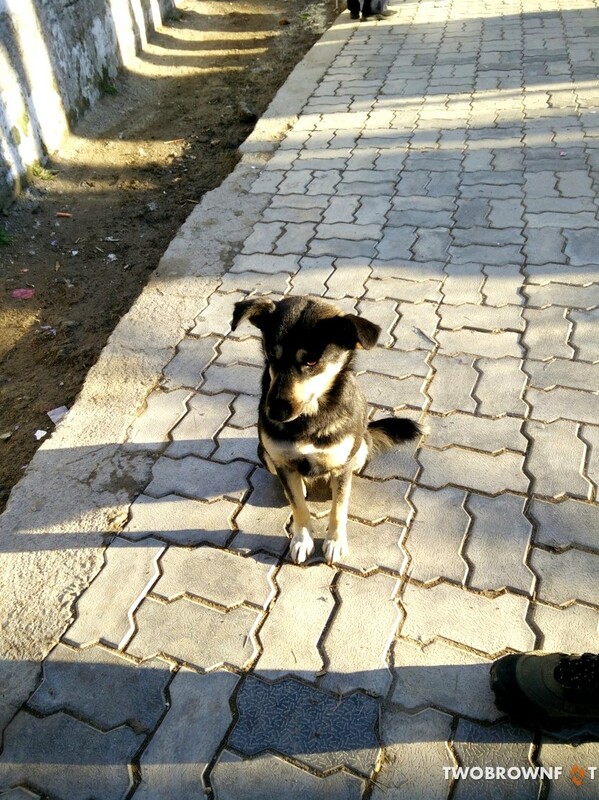 A Police check-point stopped vehicles and let us off with a curious stare. 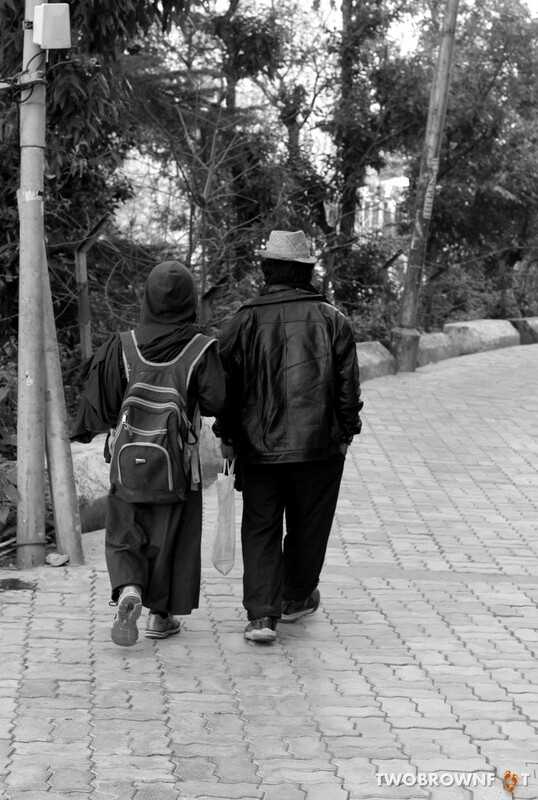 Few couples strolled, hand-in-hand, enjoying the solitude of the mountain roads. I’m going to digress here. 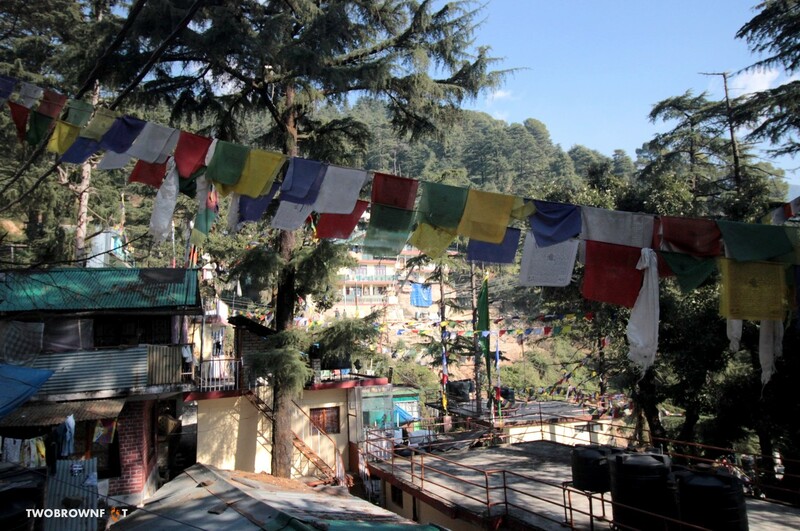 So, Dharamshala loosely translates as ‘spiritual dwelling‘ and the town gets its name from a pilgrim’s rest house (Dharamshala) that was constructed here aeons ago. 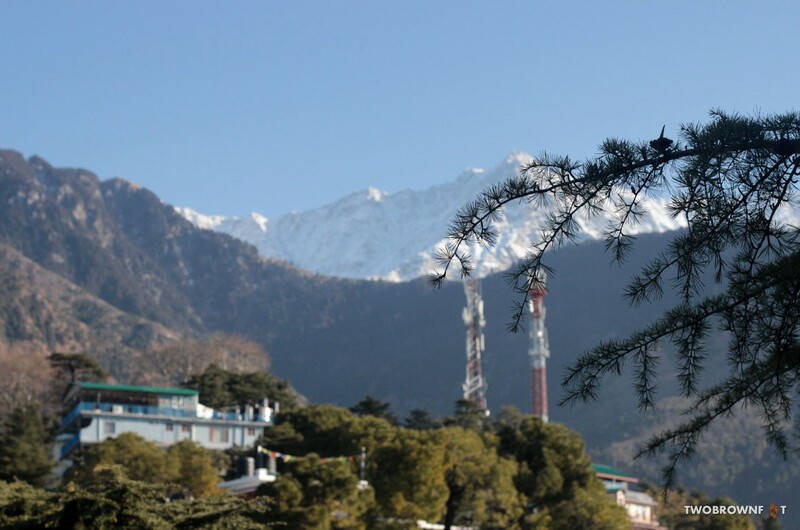 In colonial times, during British rule, upper Dharamshala was re-named as McLeod Ganj (area or region) after Sir Donald Friell McLeod, a Lieutenant Governor of Punjab. 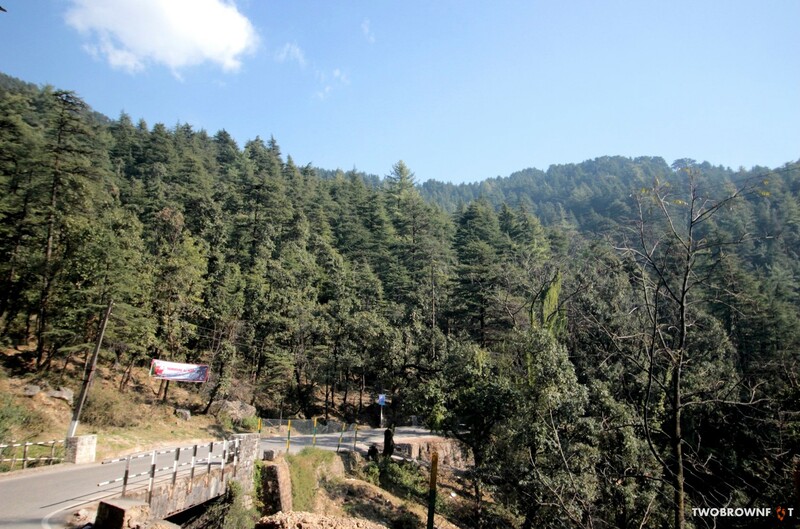 To make things more interesting, the first Viceroy to India, Lord Elgin fell in love with these mountains and climate (I will not blame him) and he chose it to be his final resting place. That brings me back to St. John’s Church and the site of his grave. 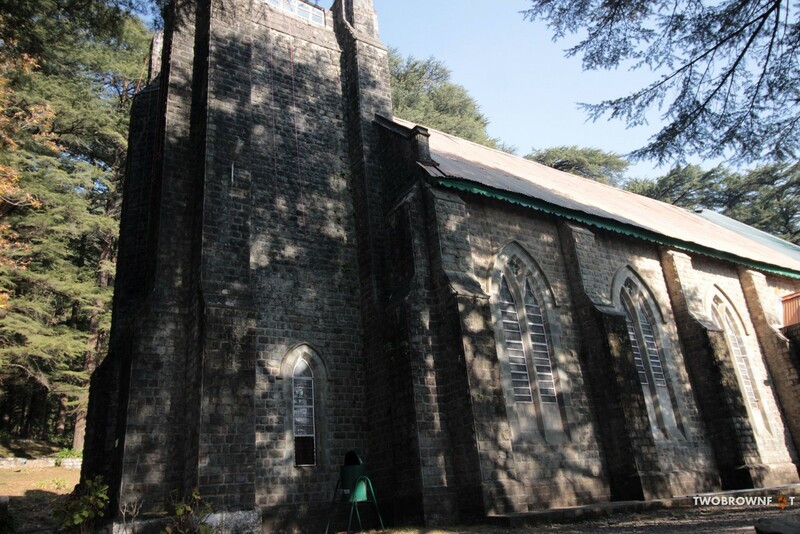 St. John’s Church in the Wilderness was disappointing. The Church, still functional, was almost in ruins. Strangely, although it had survived the major earthquake of 1905, it was crumbling to the test of time. The Church (inside) wore a festive look. A young girl questioned her father for taking her to a church, when she wasn’t Christian. And I thought of our folks. They’d be relieved we made it to a Church. And when I realised it was Anglican. I smiled again. 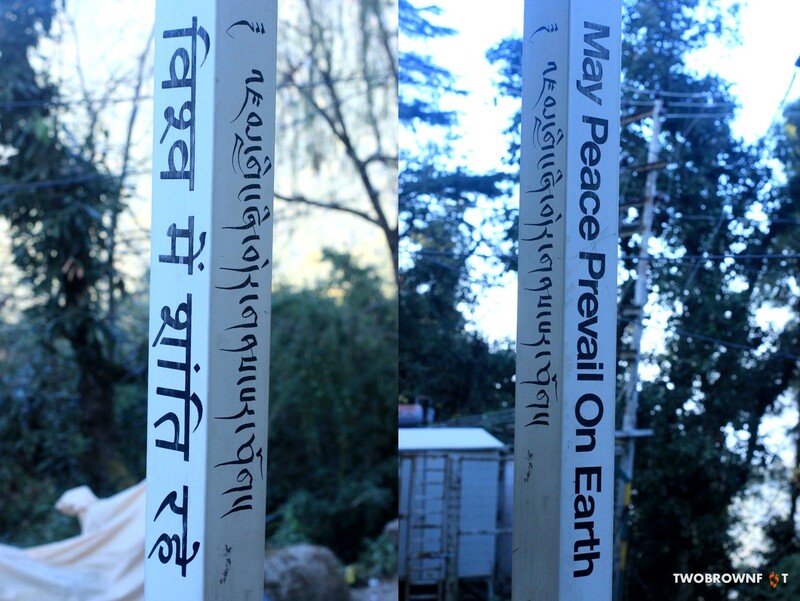 With half the day done with, we walked towards Dharamkot and soaked in local life. After wandering aimlessly, we chatted with a local shop-keeper on the places around and headed to ‘Clay Oven‘ (main square) for lunch. 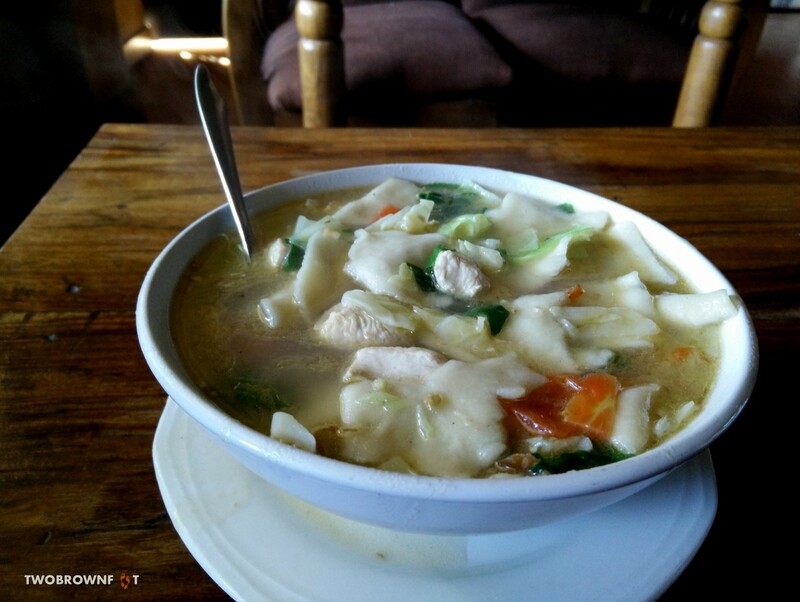 Unlike the Tibetan Cafes, this lunch house serves non-veg meals. 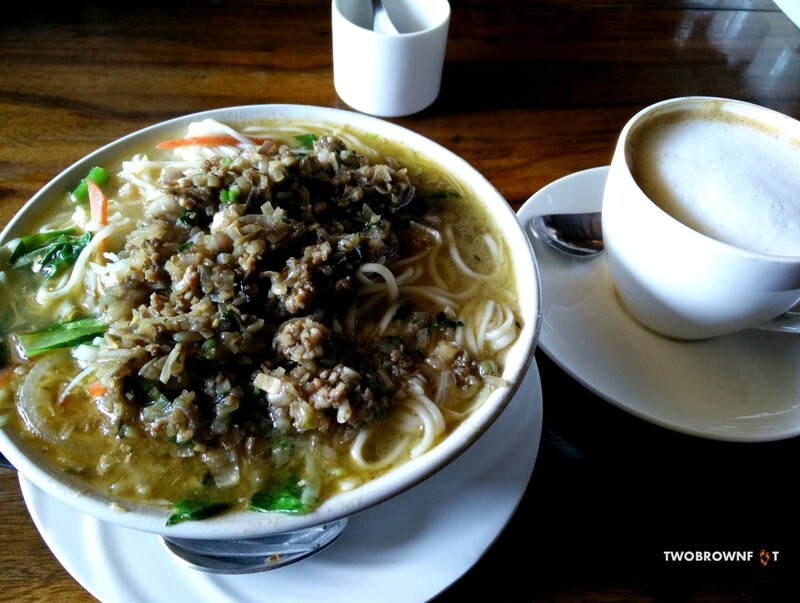 I tried Chicken Thenthuk and Basil opted for Mutton Thenthuk and coffee. 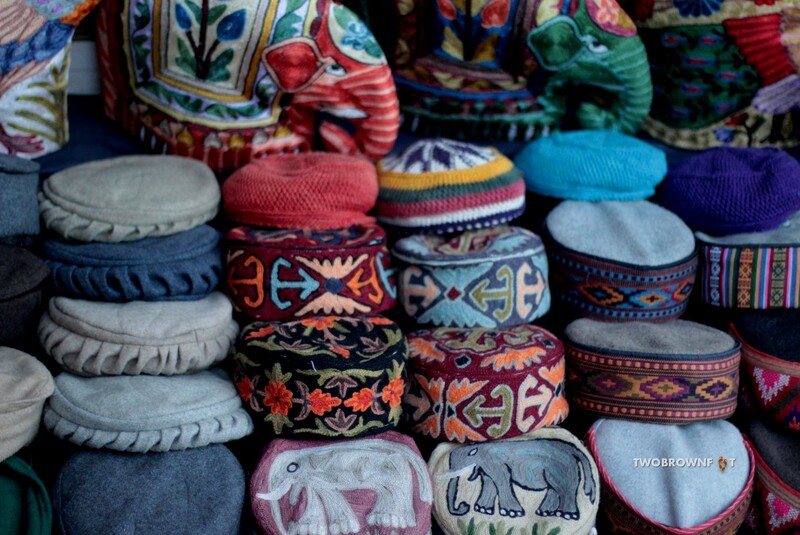 We began a slow walk back to our hotel, often stopping to buy souvenirs or woollen wear. Tired as we were, we had to visit the Tibet Museum in the Temple Complex. 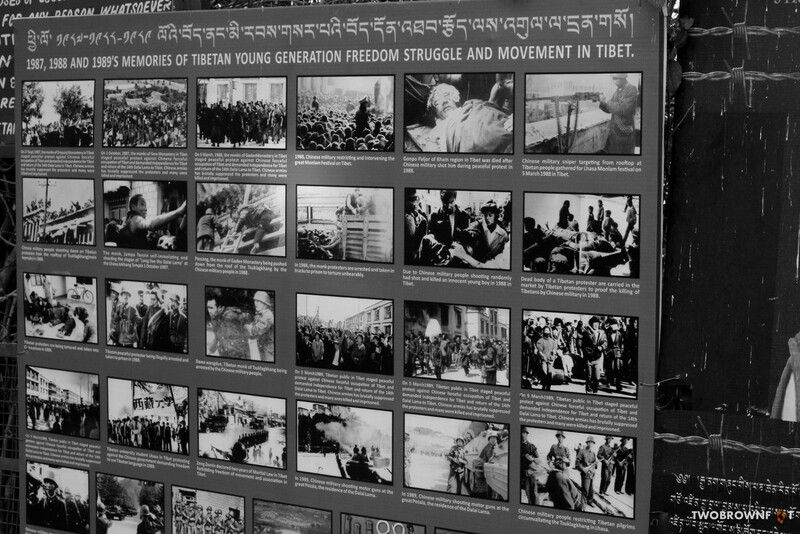 The Museum was simple and through a journey of photographs narrated the story of Tibetans in exile. It takes grit to cross the mighty mountains and make the journey to a foreign land. Many survivors had lost arms and limbs to frost bite. 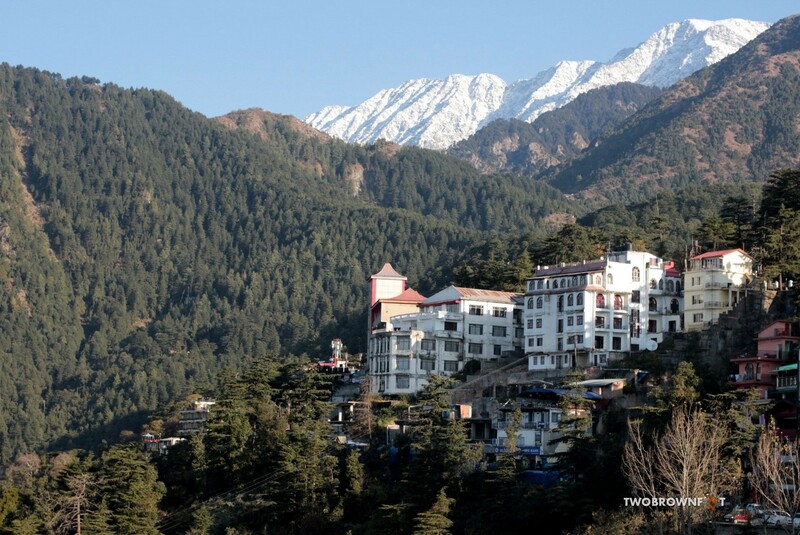 The Dalai Lama himself made the journey in 1960 and set up the ‘Government of Tibet in Exile’ in McLeod Ganj, thus bringing the flavour of Tibet into the mountains of Himachal. Great post. I have been interested in visiting this area and now I really want to go! I know what you mean. 🙂 I’m going to start writing about Sikkim, post this trip account. 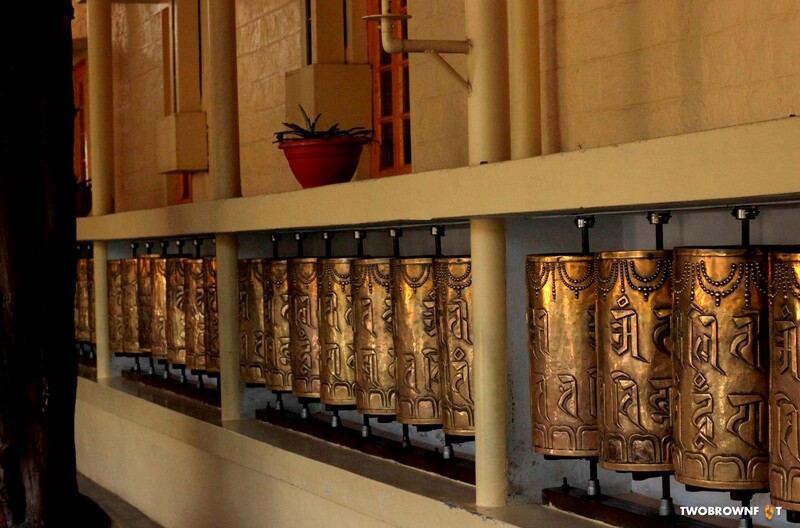 Gangtok has a similar museum. I don’t remember the name. I remember feeling overwhelmed after our visit to the museum. Oh I didn’t know that Gangtok has a similar museum 😦 I was doing the touristy stuff. 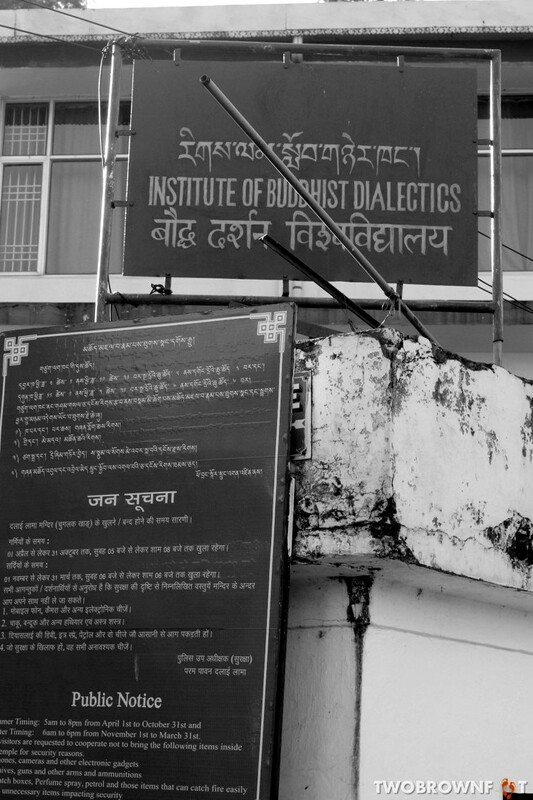 I have been to this institute in Gangtok. Sorry, actually what I meant was about their journeys and hardships in Tibet and leaving Tibet for India. Not sure if the same is exhibited in the Tibetology Museum in Gangtok. 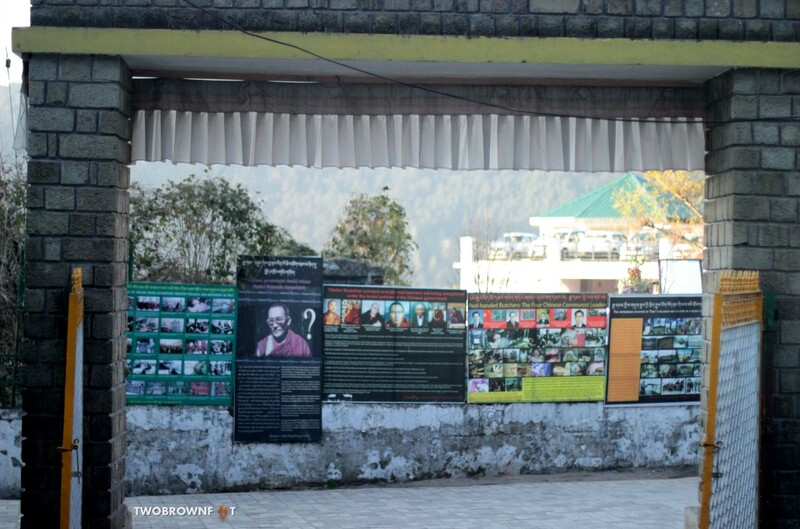 There was a small room that held a photographic exhibition on the history of Sikkim. I’m not sure if it is a regular feature of the Museum. 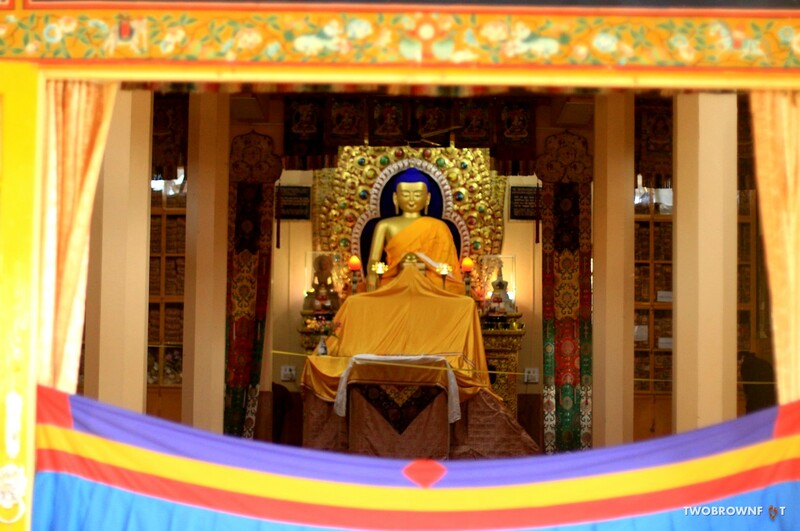 Sikkim was an independent Kingdom and became an Indian state in the seventies (showcased in the exhibition). 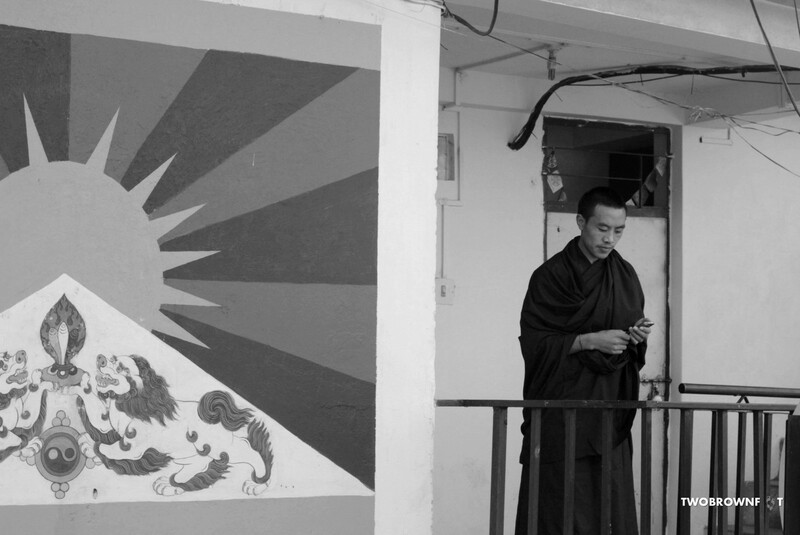 Although, they have many Tibetan influences, primarily because of Buddhism, culturally they are pretty different. I don’t remember seeing any Tibetan settlement there. 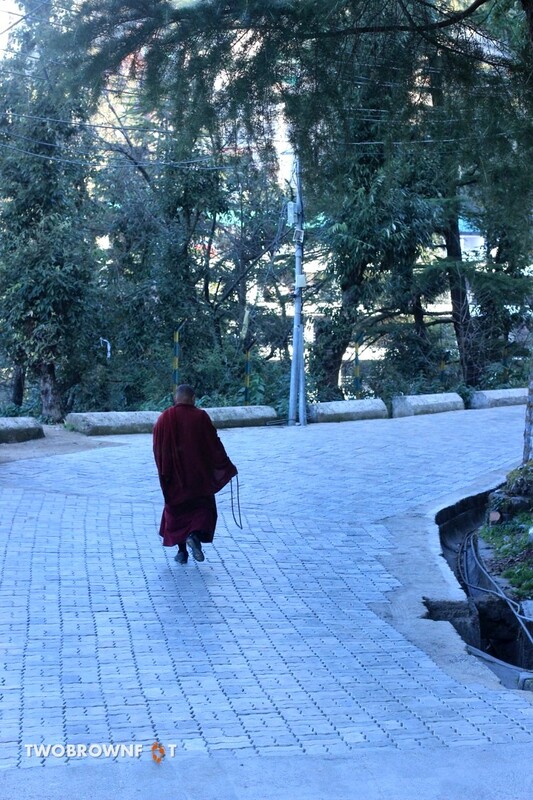 In India, Dharamshala & Bylakuppe (Karnataka) are known for their Tibetan settlements. Perhaps, that’s why you weren’t able to learn more about them in Sikkim. A tragic horror. Shame on China. Your images are magnificent as always. 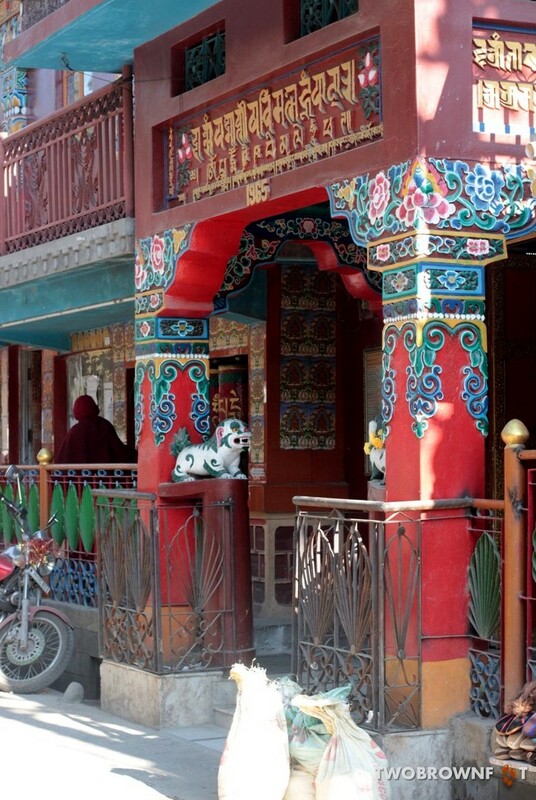 Especially love the colorful buildings and the monks. The more we travel, the more we realize and understand the complexity of situations we’d otherwise have no idea of. It wasn’t easy taking it all in. I wish I could take credit for any of the images, Lisa. 🙂 Basil, my husband and travel partner, is the man behind the lens. I’ve convinced him to start replying to all the positive feedback he gets! Thanks a bunch!